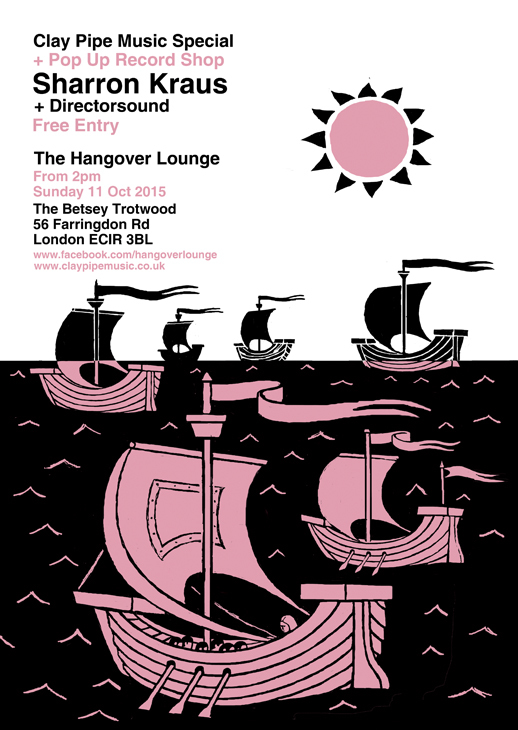 On the 11th Oct there will be a Clay Pipe special afternoon at the Hangover Lounge in their new home at The Betsey Trotwood, in Clerkenwell, London. Sharron Kraus and Directorsound will be playing. There will be Clay Pipe DJs and a Pop Up shop selling Clay Pipe goodies which will include 'Market Only' copies of the Thalassing and Hardy Tree CDs. + A FREE COPY of the above A3 poster for everyone who attends. 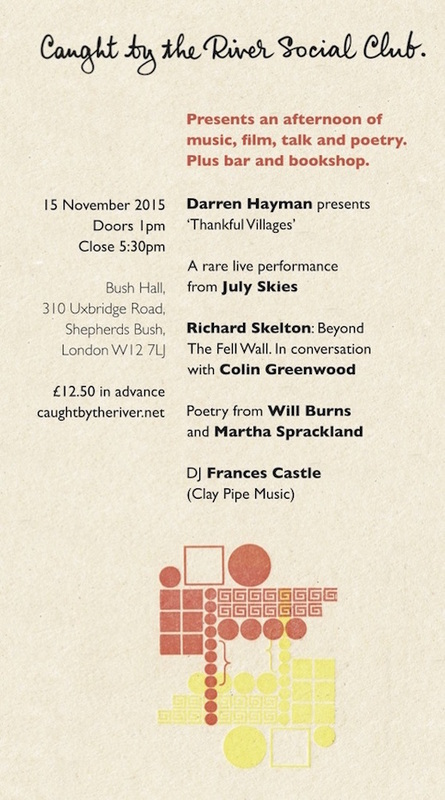 • Darren Hayman presents ‘Thankful Villages’. A Thankful Village is a village where every soldier returned alive from World War I – Darren is currently visiting all 54 of these villages, making a piece of music and short film for each one. He will be providing a taster of both the films and music from this project. • A rare live performance from July Skies. July Skies’ classic much underheard debut album ‘Dreaming of Spires’ was first released in 2002. This month has seen the album released on vinyl for the first time. A Caught by the River classic. This will be their first London gig since god knows when. • Richard Skelton in conversation with Radiohead’s Colin Greenwood. • Poetry from Faber New Poet Will Burns and Martha Sprackland. Named as one of the 4 Faber & Faber New Poets for 2014, Will Burns is our Caught by the River Poet-in-Residence. His pamphlet was published by Faber in October 2014. Martha Sprackland has previously won the Foyle Young Poet Award, and is Assistant Poetry Editor at Faber & Faber. Based in North London, Frances Castle is a freelance illustrator. In 2011, she set up Clay Pipe Music, a boutique record label determined, in an age of anonymous downloads, to release beautifully designed and illustrated CDs and LPs. Clay Pipe specialises in releasing atmospheric music with a strong theme or sense of place.